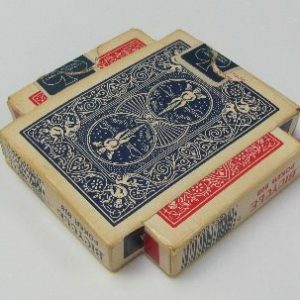 This is a pre-owned item we acquired from an old magician’s estate. Comes complete with original VHS tape, seven pages of written instructions describing other effects, and the beautiful leather secretary wallet. A Charlie Fenn original manufactured item. Spectator #1: Selects any one of the three oranges shown. Spectator #2: Picks a card, tears it up and puts pieces in a zippered wallet. 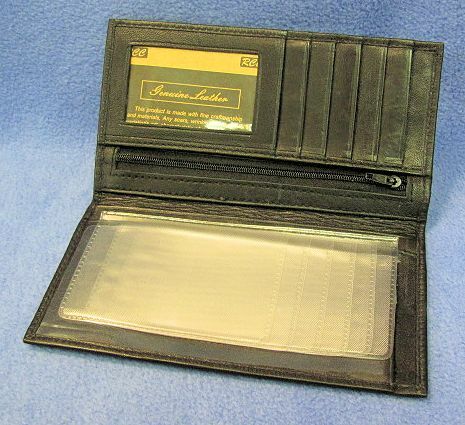 Spectator #3: Holds the wallet and opens it to find that the entire card has vanished except a single piece. Spectator #4: Then the selected orange is cut open to reveal the vanished card inside except for the one missing piece that was in the wallet. Now the other oranges are cut open just to show that they are empty. People will talk about it for days! This trick is considered a reputation maker! The spectator is handed a deck of cards and asked to count 15 on to the table top. The remainder of the deck is set aside. The spectator looks at all 15 cards and signs the face of three of them. 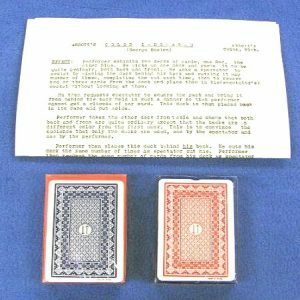 The performer announces that merely by an advanced sense of touch will he separate the three chosen cards from the rest and he will do it behind his back or underneath the table top where he cannot see the cards. 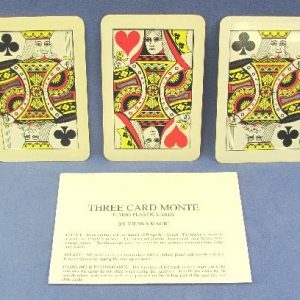 Three cards are placed face down on the table, one at a time. The rest of the packet is handed to anyone to count. There are 12 cards, as there should be. None of the 12 are signed and in fact are not the chosen cards. Now the three cards on the table are turned over to disclose that they are not the chosen signed cards either. 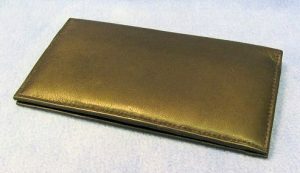 The wallet that the performer had previously removed is handed to the spectator with the instructions to open the wallet and look in the compartment under the note pad. Therein are found the three signed cards!